Elephants have always played a significant role in the history of Thailand and since 1998, March 13th has been set aside as National Elephant Day or Chang Thai Day as it’s known in Thailand. For thousands of years, elephants have been used in Thailand for transportation, to help with logging and even as instruments of war, but the iconic national symbol of Thailand never really got the recognition they deserved. So, National Elephant Day was created to illustrate how important elephants are to Thailand; to show how Thai Culture depends on the elephants and also to promote awareness about conservation and protecting the population of the Thai elephant. On this day, celebrations and events take place at elephant parks and zoos throughout the country. 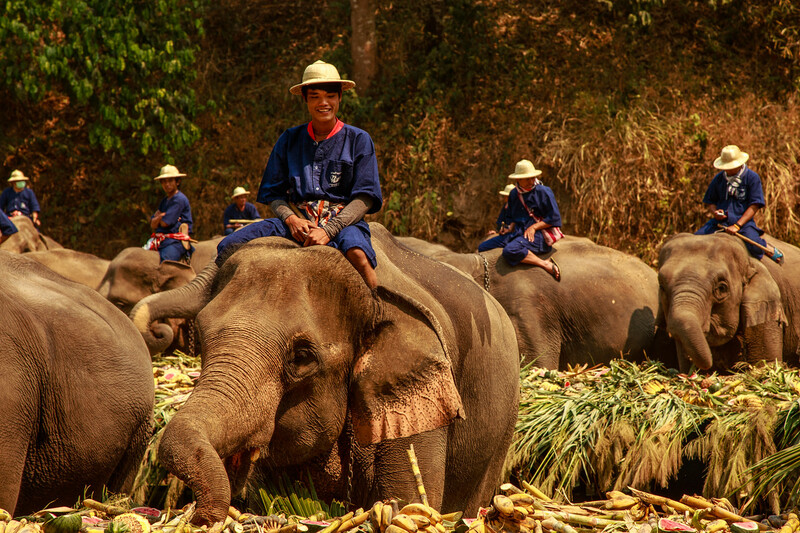 Many elephant parks hold Buddhist ceremonies where the elephants are washed and then blessed by Thai monks to bring good luck to both the elephant and the mahout (elephant handler), and then the elephants indulge in a huge banquet of fruit and sugarcane. The largest celebration in Thailand for National Elephant Day takes place in Ayutthaya, about one hour north of Bangkok, where more than 150 elephants take part. 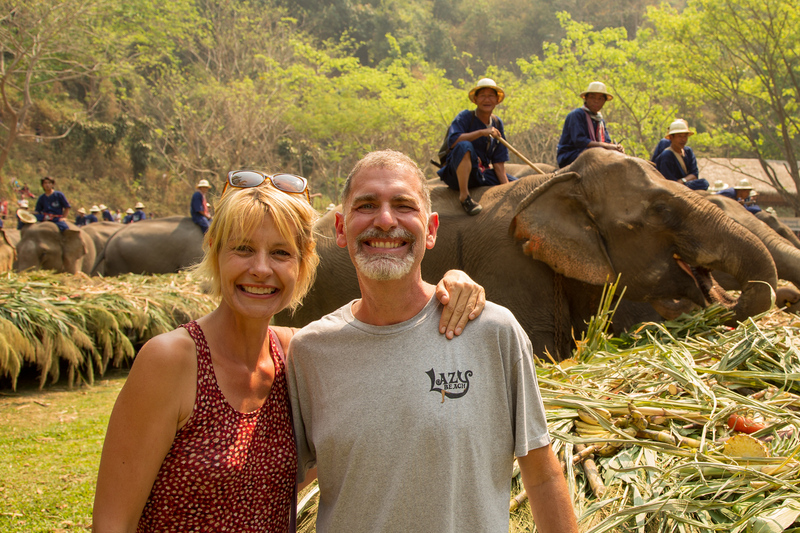 We were incredibly lucky to experience one of these events near Chiang Mai. It was amazing to see over 50 elephants being treated to a day off and indulging in a giant buffet dedicated just for them. Watching these giants gorge themselves on tons of pineapples, bunches of bananas, watermelons and sugar cane and clearly enjoying themselves was a delight to see. 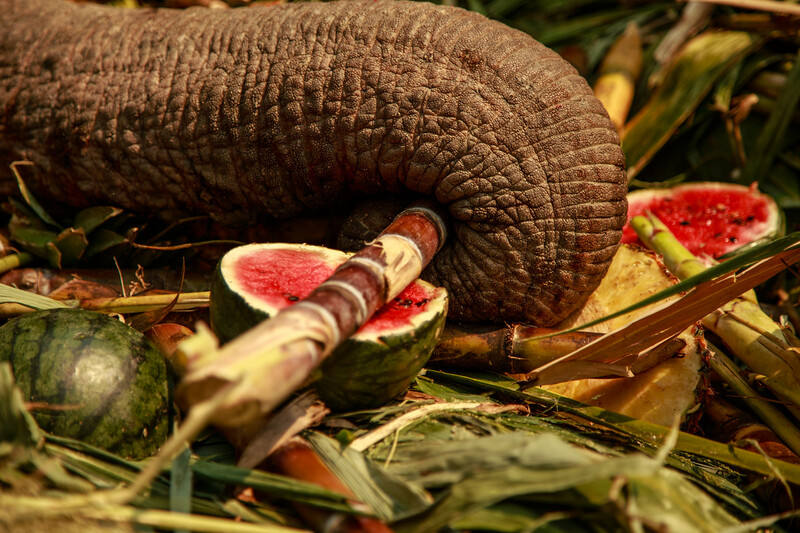 Many of the elephants got so stuffed, they got sleepy and started resting their heads on the buffet tables. Although it is interesting to see, there are many bad operators in the elephant tourism industry. If you would like to see elephants when you visit Thailand, be sure to do some research into how elephants are trained and treated. 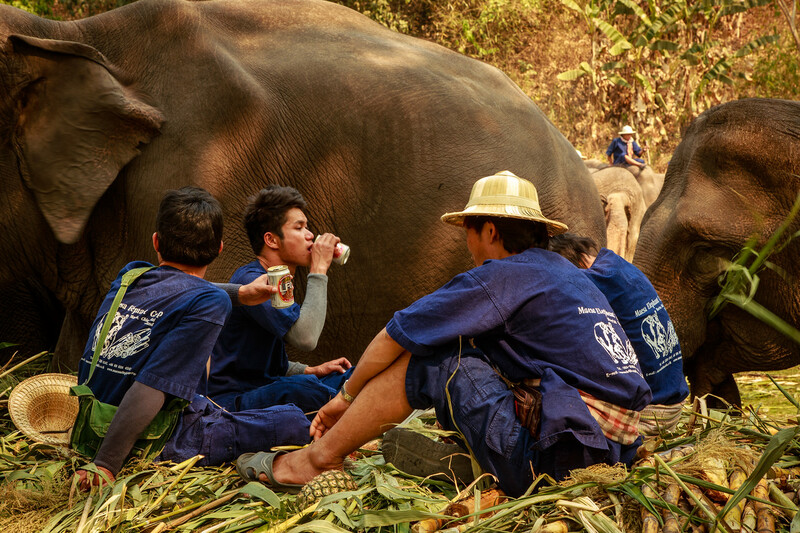 New research has shown that even riding elephants, as the mahouts here are doing can cause pain and damage to the animals. If you want to spend some time with these magnificent creatures, find an ethical elephant sanctuary and even then, investigate further. Those are some great photos. I am usually not a big fan of the elephant riding industry but I know that the relationship between the elephant and mahout is a special one that can easily be seen here in your post. Thanks for this…made my Monday. Thanks Tim. There are good operators and bad operators. The Maesa Elephant Camp appears to be among the better ones. I loved your post on “”being attacked by baby elephants” – Absolutely adorable. I did want to mention that the Maesa Elephant Camp specifically, is actually not a great elephant camp, they’re one of the worst offenders. 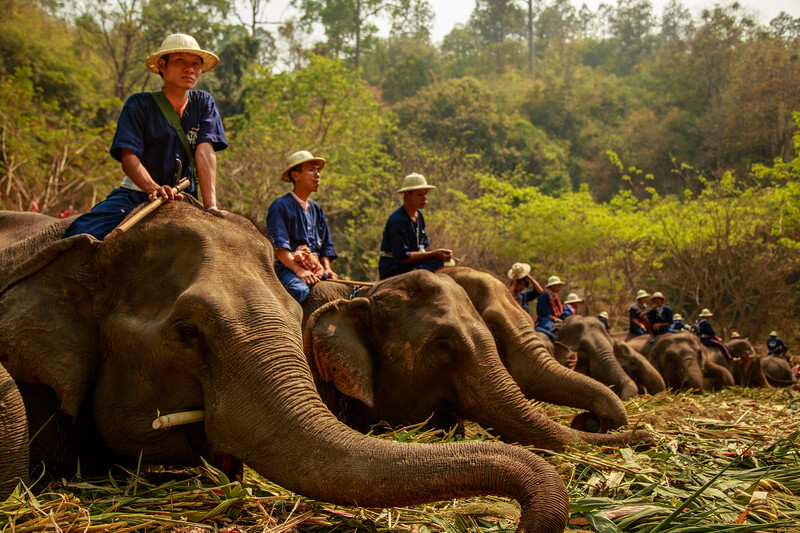 To this day (2019) they are still conducting elephant rides, they’re still “breaking” baby elephants to train them to be ridden, as well as using the Ankusha or Bullhook to force them to perform tricks and entertain visitors. A few of their elephants are suffering from mental illnesses. For ethical elephant sanctuaries, I would suggest Phang Nga Elephant Park in Phang Nga, or Elephant Nature Park in Chiang Mai.